Located just 3 minutes from Hokitika township on the Historical Blue Spur Goldfields, capturing majestic views of the Southern Alps, Tasman Sea and breathtaking sunsets. Stations Inn offers luxury accommodation and an award-winning restaurant. Stations Inn was re-established in 2004 by Hugh and Glenda Little on the historic site of the Station Hotel, a licensed establishment in 1867 and was aptly named being the station at the end of the horse-drawn tram track. Stations Inn accommodation offers a choice of either luxurious executive studio units or premiere king suites, each with a balcony, outdoor setting and fabulous view. All accommodation boasts quality and stylish modern décor to make your stay a relaxing and memorable experience. 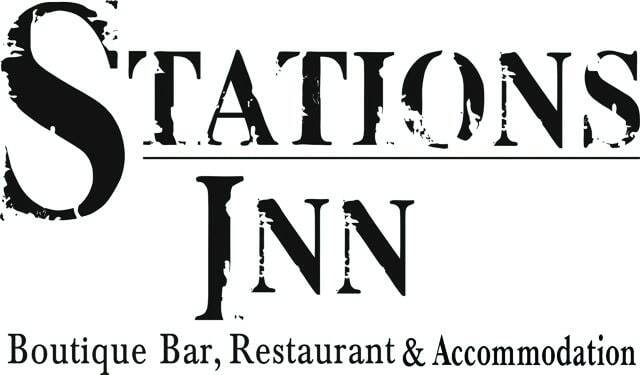 Stations Inn is complemented by an award winning restaurant offering a la carte dining. The award winning New Zealand cuisine is perfectly matched by a full range of locally brewed Monteith's craft beer and an excellent selection of quality New Zealand wines. Lunch bookings available for groups by arrangement. Bookings are advised 03 755 5499.